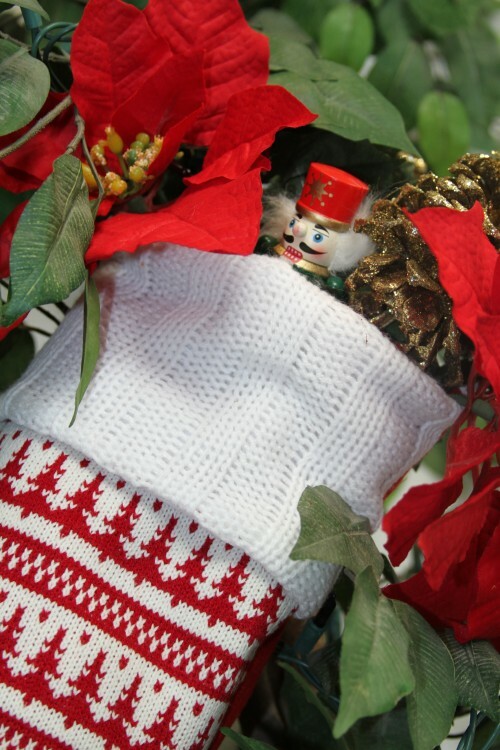 I found a great wreath idea on the Midwest Living site last year. It’s a spring wreath using an umbrella, but it gave me the idea to make a wreath from a stocking. My wreath is currently hanging out on my fake ficus tree at work, but I’ll take it home when the office closes for Christmas Break. This was a super easy and inexpensive project. 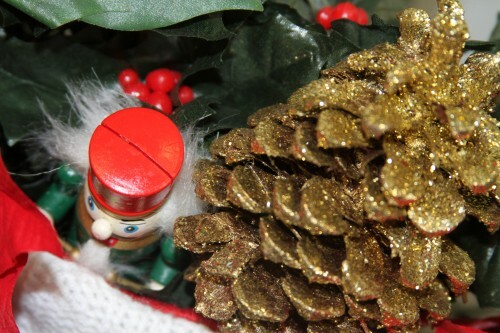 It uses a stocking, faux holly, poinsettas, and sparkly pinecones, plus some gold tinsel filling and a little wooden nutcracker. I purchased all of this stuff at the local dollar store, so the project cost less than $10 to make. Fill your stocking with tinsel. 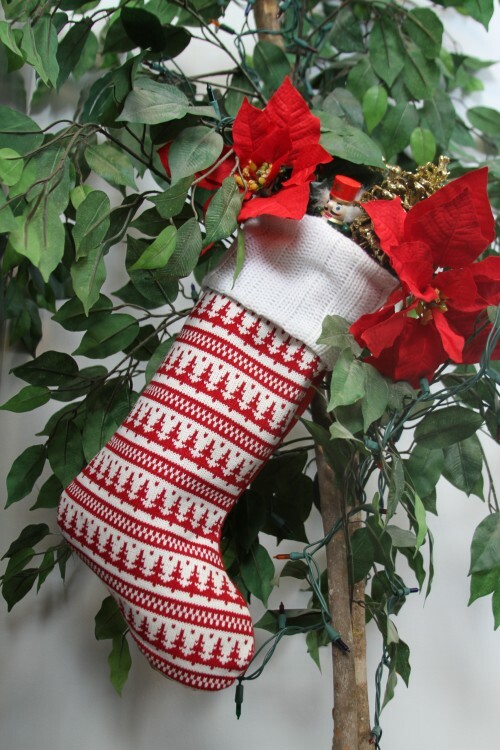 It will help your stocking keep it’s shape, and can be pulled through the top to help fill out the wreath. Next take your holly and place several of the branches. These will be the basic filler for your wreath. Take 2 or 3 poinsettias and add them to your stocking. 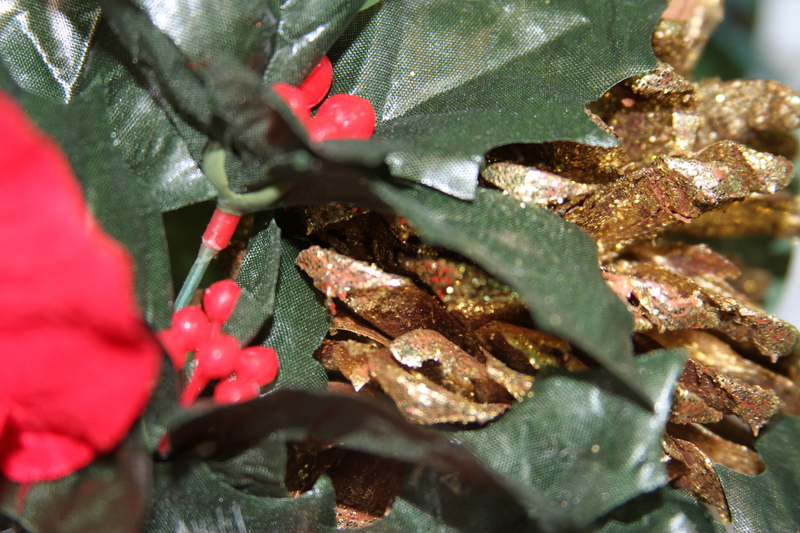 Add a couple of glittery pine cones. 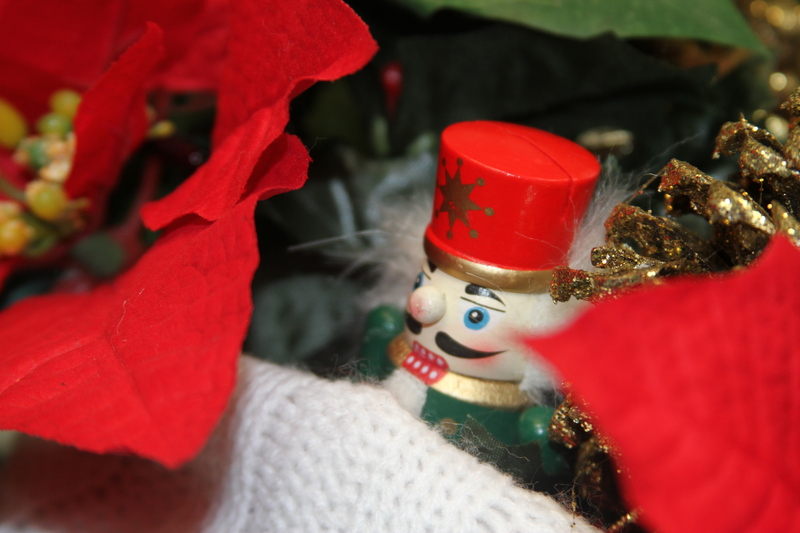 Find a nice little home for your little nutcracker. 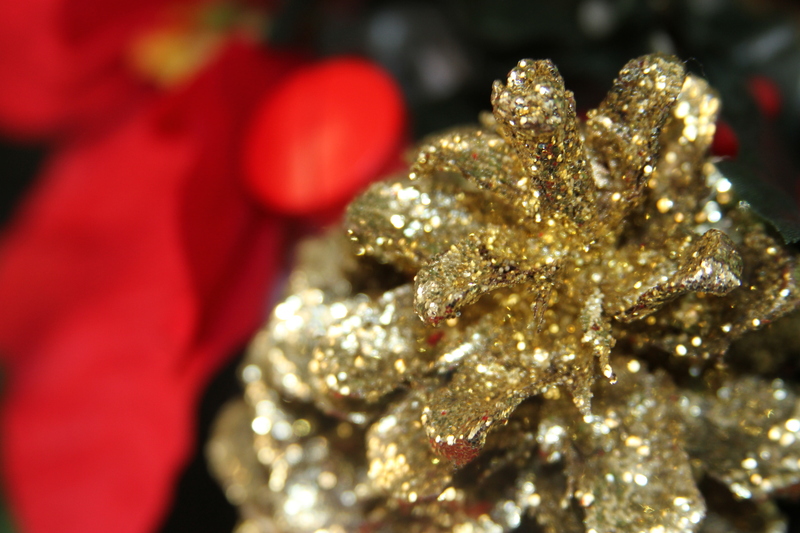 And last, but not least, pull a little of the tinsel up to help fill everything in. There you have it. No tape, glue, wire, or other tools. Just fill and display.